It's a common myth that you must be young and in shape to take Karate. Nothing could be further from the truth! At Karate John's, you'll build confidence as you take your first steps into the Karate world. You'll learn to improve your focus and self-discipline in order to achieve your goals. You'll also increase your strength without weight equipment and reduce stress in your life. The Adult Karate program at Karate Johns' Martial Arts is an exciting form known for it's powerful forms and dynamic kicking and hand techniques. If you want to achieve all of your fitness goals - while getting a great cardio workout - and enjoy the added benefits of learning self-defense, Karate John's Martial Arts would be right for you! Dozens Of Benefits That You'll Love With Martial Arts In Cicero! More than just punching and kicking, our Adult Karate classes develop awareness and life-saving self-defense skills. For teens and adults, our Adult program will help you lose or maintain your weight, reduce stress, maintain flexibility, and balance leading to a reduced risk of injury and healthy fitness levels. Adults can join class with their child for a family learning experience. Separate adult-only classes offer a more intense workout. You're not too old to learn. Work at your own pace at Karate John's. The Decision Is Easy! Get Started Today! 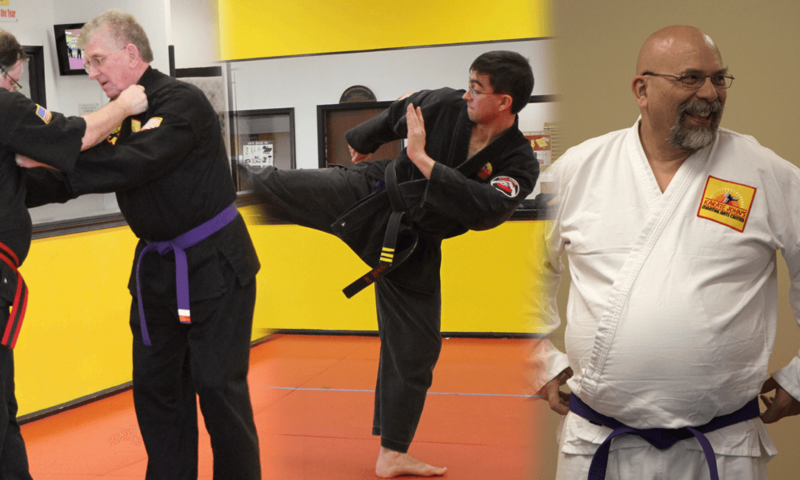 Learn more about this incredible Adult Karate program just by completing the short, no-obligation form right here on this page. We'll provide you with everything you need to jump at the chance to take advantage of the Adult Karate classes from Karate John's Martial Arts in Cicero.